"Artilleryman" is a portrait depicting one of the members of an artillery crew. The drawing was completed using two separate photos taken at an event that took place at Ft. DeRussy, Louisiana in early December 2007. 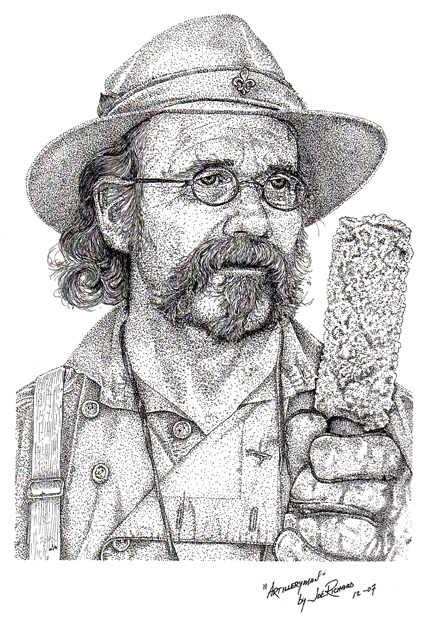 This study in pen and ink techniques was completed in December 2007. Both line detail work combined with the contrasts of stippling lend to create a dimensional effect in the features of the "Artilleryman" depicted holding one of the tools of the trade called a "sponge".